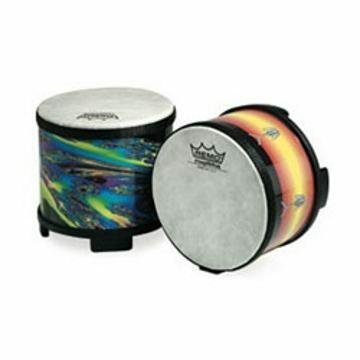 Remo Finger Drum, 2″, sunburst Graphics ( Item code FG-SHRT-SB) Finger drum made with the same materials that are used on Remo’s professional instruments Finger Drums are durable versatile and a great way to reduce the stress of modern life. 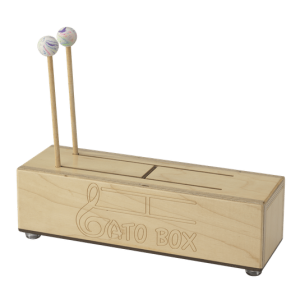 It goes anywhere and is played with just a tap of a finger. AcousticonT shell (manufactured from recycled hardwood fibers and unaffected by climatic changes) and synthetic Fiberskyn 3r head. 5 inches wide x 2 inches high. 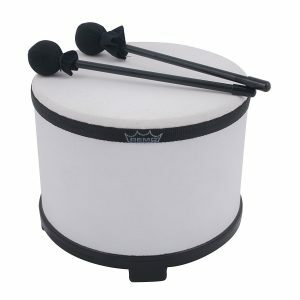 This very small drum is a great addition to our vast collection of little instruments! 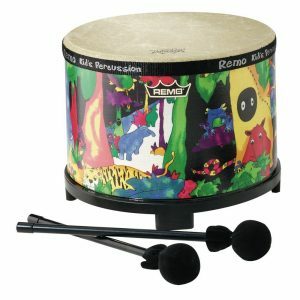 My kids like to play it with some other drums we have.